I recently completed a pretty big project that I’m totally obsessed with. I’m gonna give it to ya in two posts though, so you’re not stuck reading a one thousand word diy essay, k? 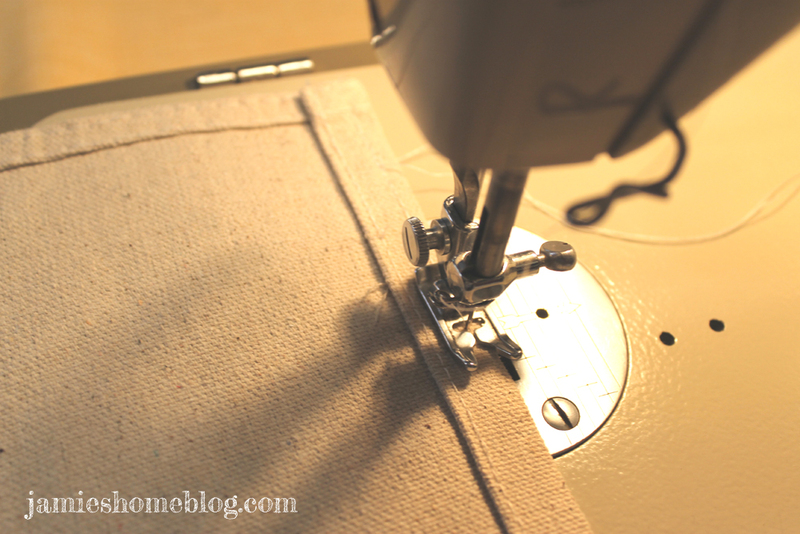 Lets talk about how to sew curtains. I wanted this curtain to be floor-to-ceiling, and my ceilings are 8′ high, so the first step was to trim this guy down. I also wanted it to be just under 4′ wide. So I measured 4′ feet from the long side at both the top and bottom edges, folded it over and clipped it in place using binder clips. 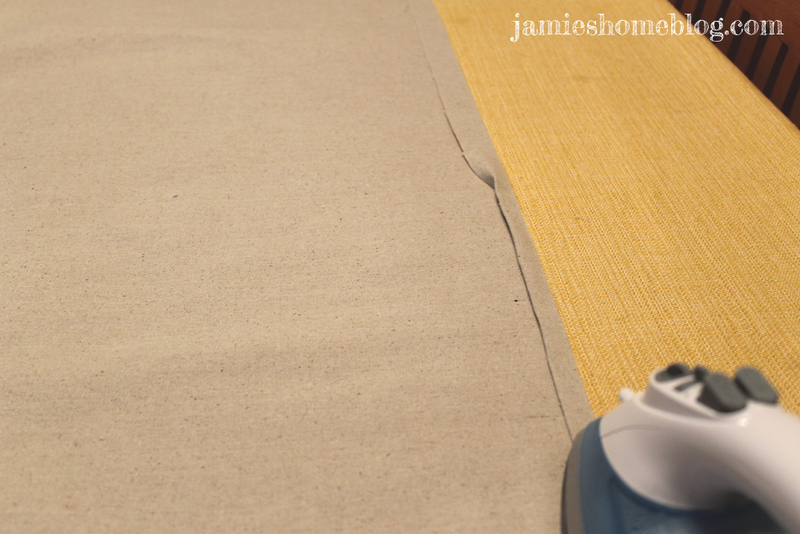 I then ironed a line down the length of the curtain and used that as my guide to cut the fabric as straight as possible. I repeated the process across the width by making a fold, clipping with binder clips, ironing and cutting across my ironed line. I went with 8′ 1″ so that once it was hemmed it would be down to 8′. 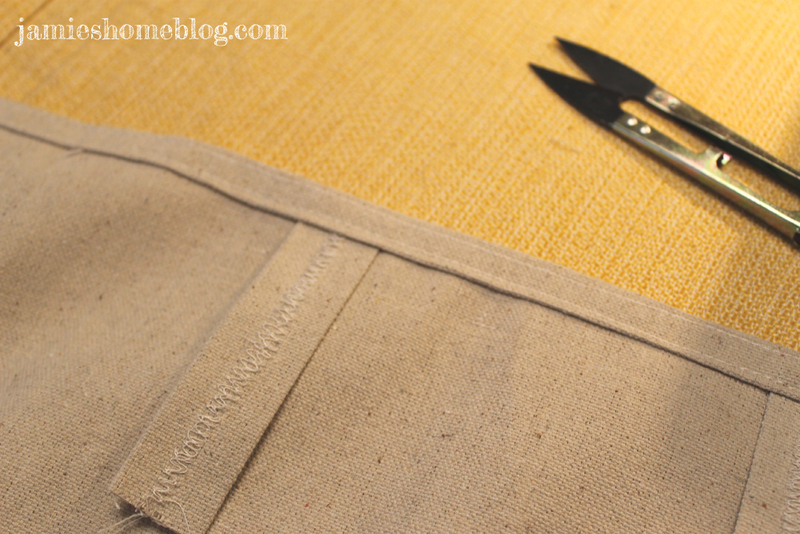 For the side hem, I used a seam ruler to iron a 1″ fold along the length of the canvas. I then folded it within itself, resulting in a 1/2″ fold. 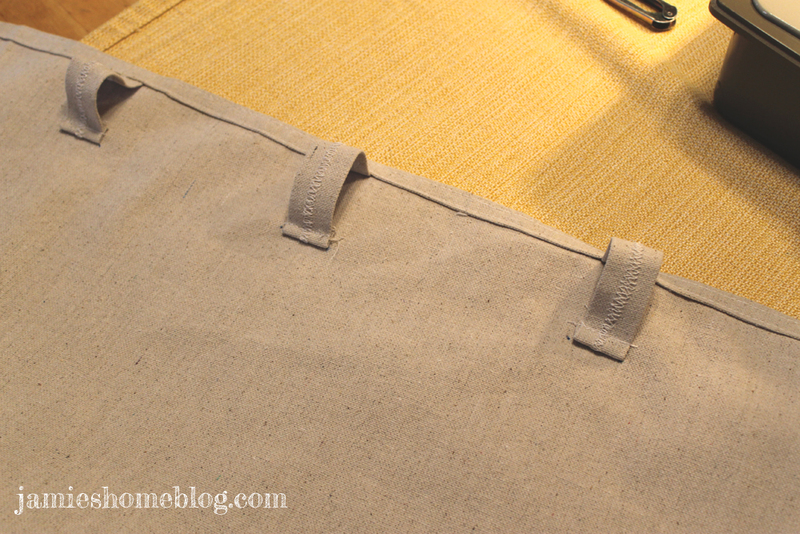 Then the side got a double stitch hem all the way down. 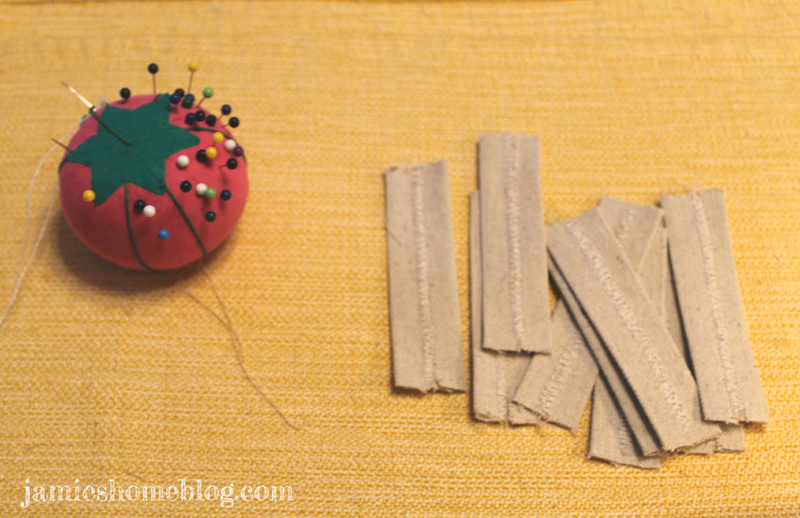 I used a needle and thread in my sewing machine specifically designed for heavy weight fabric. 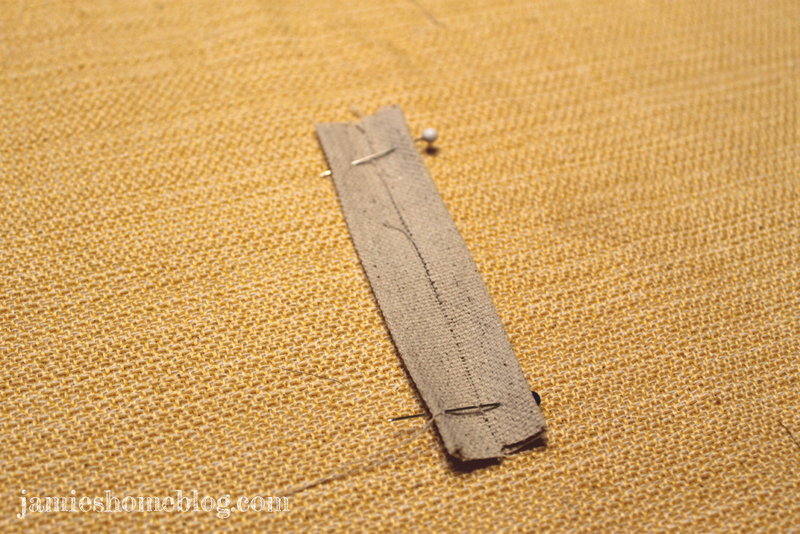 The hem along the width would serve as the top of my curtain. 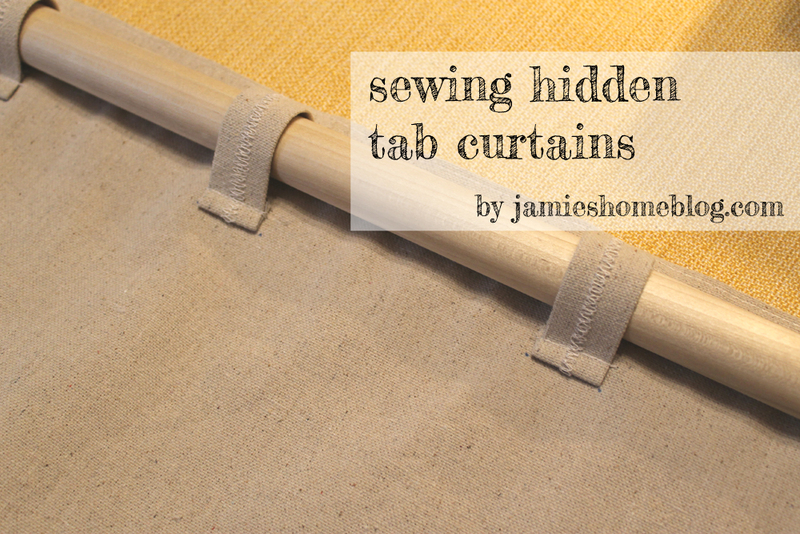 I prefer hidden tab-top curtains. I just like the way they look. The process to make them is a bit more tedious but the juice is worth the squeeze if you ask me. 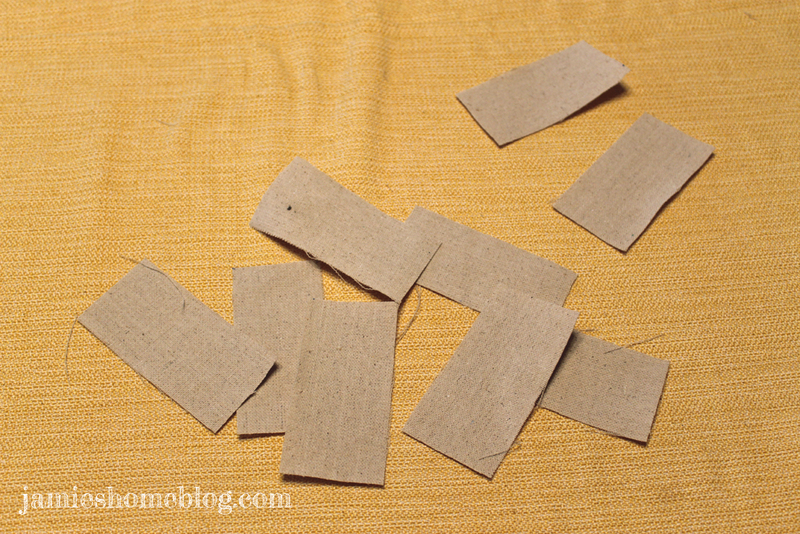 For my tabs, I cut nine 2″ x 4″ rectangles out of my canvas scraps. I folded the long edges into the center and ironed. 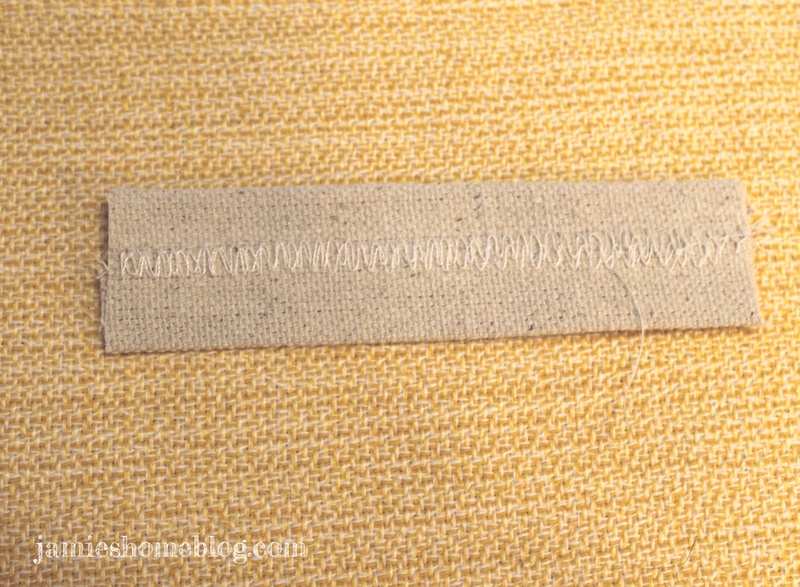 And then used a zig zag stitch down the middle for added sturdiness. This left me with nine 1″ wide, 4″ long strips. Using the same folding and ironing technique as I used on the long side of the curtain, I prepared the top to be hemmed, but before I double stitched it, I tucked each of my 1″ wide tabs under the fold, about 4 1/2″ inches apart. 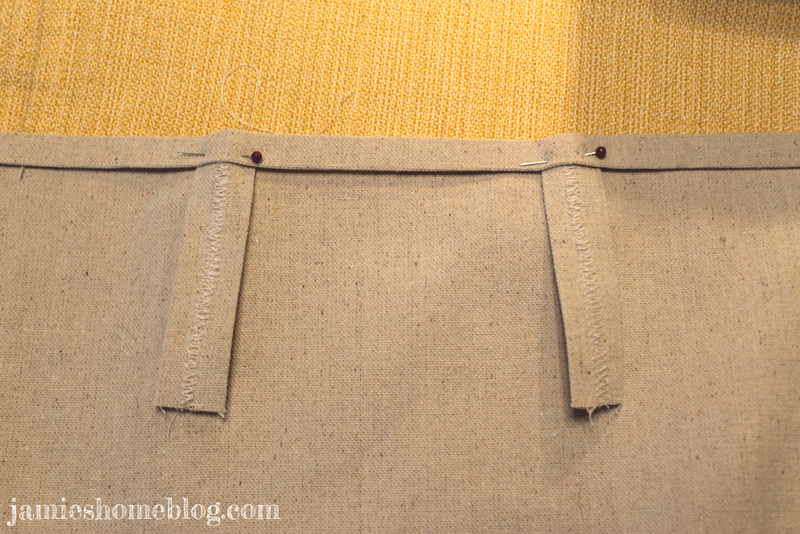 Then the tabs got double stitched into the top hem. I folded the bottoms over and stitched them in about an inch and a half below the top hem so that I could slide a dowel rod through like so. And voila! 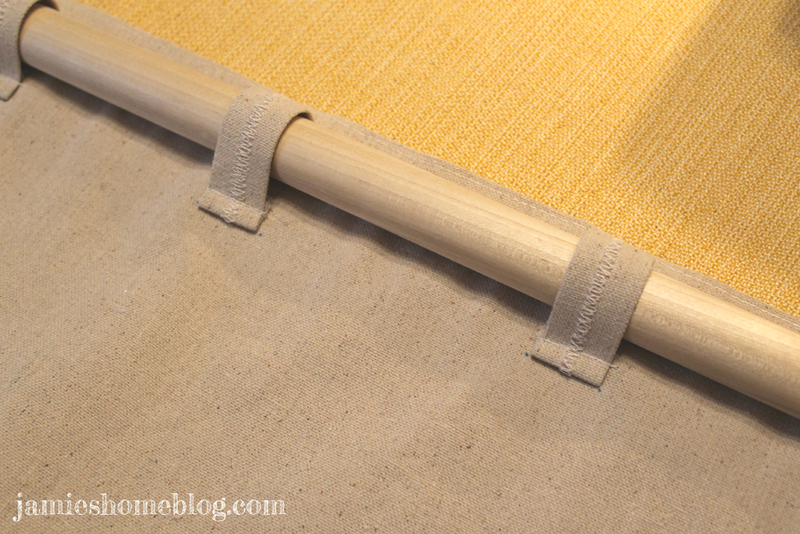 I turned a $10 canvas drop cloth into a curtain of sorts. 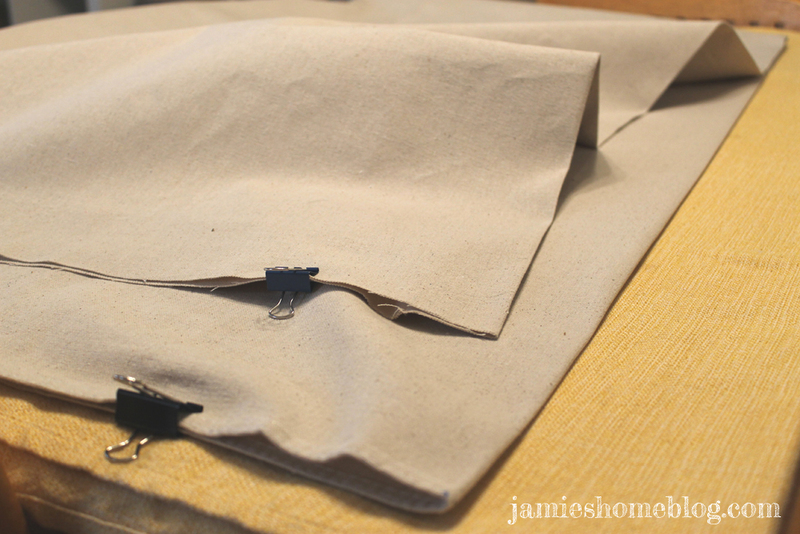 I’ve used this method on several different fabrics for curtains for friends of mine and it works like a charm every time. Stay tuned to find out how I used this curtain! Hint: it’s not over a window. 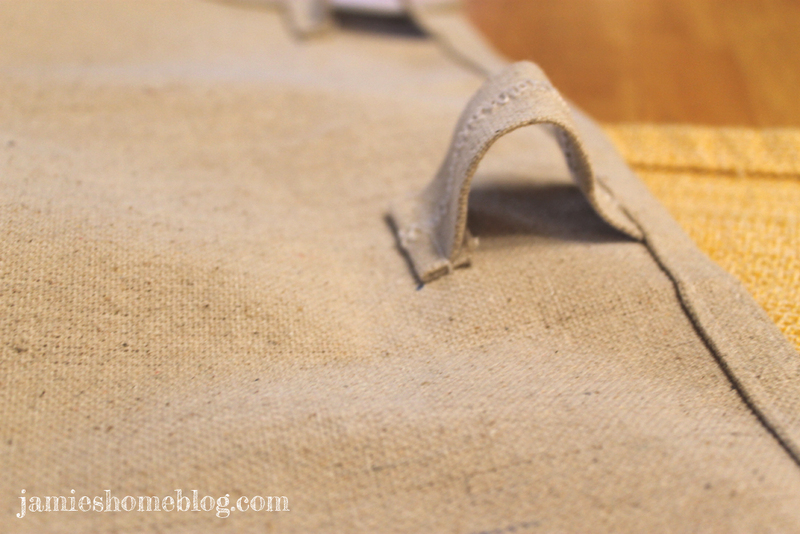 This entry was posted in Decor, DIY, Home Decor and tagged curtains, hidden tab curtains, how to sew curtains, sewing, tab top curtains. Bookmark the permalink.